The new Britney Spear’s site is up and she’s speaking directly to you, via her cue cards, and she means it from the bottom of her heart. They are really trying to get her career back on track for her Nov. 30, tele-all, so they’re blowing out the promos. We’re happy for Brit. All that she went through the past few years, we sincerely never thought we’d see the day. Here’s Brit’s new video for “Womanizer”, where she plays her naked self, a tattooed waitress, zexy limo driver and a not so hot secretary. She looks like she’s having fun and old crazy Brit is put away for a while. We’re happy to see Brit is back after a somewhat lackluster record release and her low-budget videos last year. Jamie and Lynne Spears both submitted declarations to the court today. Dad wrote that Brit believes Sam was responsible for stealing her stuff. Apparently “Satan“, or the “second coming of Howard K.” has been doing a lot to Britney and she’s been talking. From what she’s shared, he sounds to be as dangerous as we thought. Maybe even slightly more dangerous than Britney is to herself. Jamie to Brit: I Gotta Cook for the Super Bowl! Jamie said Brit asked him to bring her some vanilla ice cream. 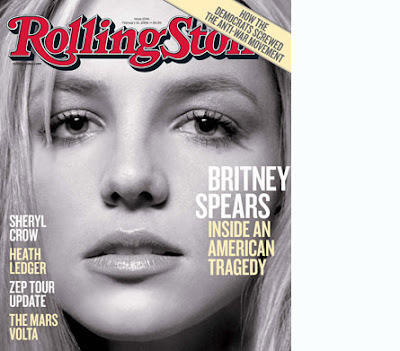 Britney became upset, claiming “someone was lying to her” about who was keeping her at UCLA. Jamie said, “No, I’m not keeping you here.” A nurse came in to tell Brit that the hospital was keeping her there, not her dad. Jamie Spears Attorney Jeryll Cohen, who reps Jamie, submitted a declaration to the conservatorship commissioner, claiming Brit’s divorce lawyers got it all wrong when they assumed Jamie was a control freak. I, Lynne Spears, declare:I am the mother of Britney Spears (Britney)., who is the subject of this action. I have personal knowledge of each of the facts set forth in this Declaration, and can testify completely thereto, except as this matters stated on information and belief, and as to such matters I believe them to be true. This past Monday night (Jan. 28), Britneys father, Jamie, and I (in separate cars) went to Britneys house in Beverly Hills because we had heard news reports that Britney had just been in a big fight with Sam Lufti aka Sam Lufti (sam), the man who has inserted himself into my daughters life, home and finances, and that she was crying. We were very concerned about her safety. We arrived at the Summit Community gatehouse in BHPO at approximately 10 p.m. I was with my friend Jackie. The guards at the gatehouse stopped us there for awhile. Jackie, Jamie and I finally proceeded to Britneys house and entered it. We were able to enter the house because it was not locked. Britney does not lock her doors and currently there are no security guards around her residence. Britney was not home. We found Sam, and sam said as we walked in the door that Britney only wanted me to come to the house, and that she was afraid to see her dad.